Of course the announcement of Toy Story 4's eminent release came during an earnings call by Bob Iger. Because, as we all now know, Pixar is nothing more these day's than Disney's ATM. 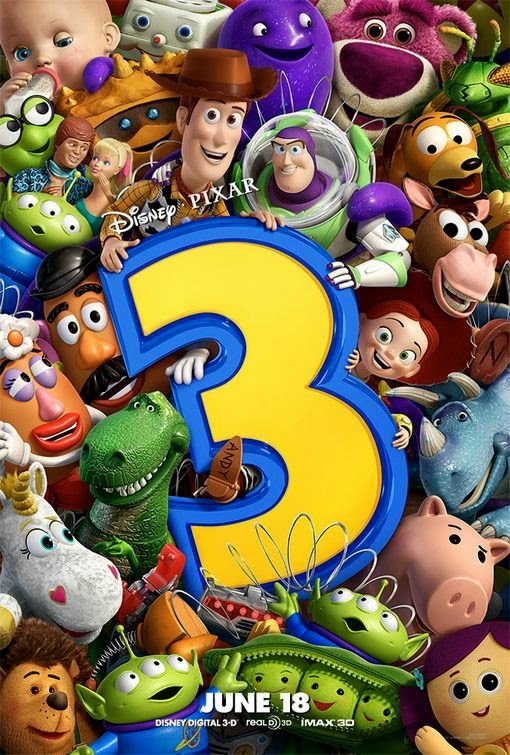 We all knew it was going to happen, even though Toy Story 3 ended on such a perfect note. Those Toy Story Toons kept the characters alive, and now that the new and old toys all have a young owner for a new generation to grow up with, who's to say this won't be a sort of franchise reboot, introducing the children of the first generation to the amazing (yet to be determined) series. John Lasster will direct, which is a good thing? I don't know, he's not the John Lasster that made the first Toy Story. He's now the John Lasster that made Cars 2 and forced Luigi's Flying tires on unsuspecting victims in Anaheim, and he's not getting any younger or more creative (and I guess "Frozen" and "Wreck It Ralph" and stuff). Admittedly, the Toy Story franchise is the only Pixar franchise that has worked. Monsters and Cars both were eh features with an eh-ier sequel in MU's case, and a terrible film that made "Planes 2" look like Citizen Kane in "Cars 2's" case. What do you think? Are you happy MSM is back? What's your favorite type of holiday coffee product? Let me know in the comments and on Twitter!